Past clients have included: Habitat for Humanity, Yellow Pages, AutoShare, Youth Challenge International, Go Global Expo, Ontario Tourism, New Brunswick Tourism and the Royal Ontario Museum. 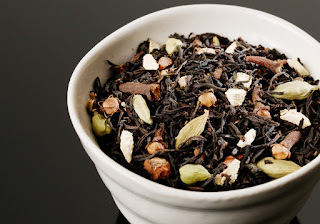 Please click any image or link to read the full content. Website copy for a boutique tea company based in Sydney, Australia. 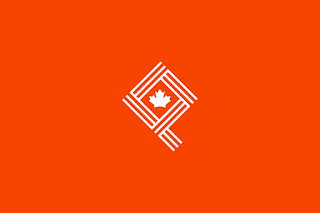 Profiles of 52 national and provincial parks for a government-funded project to celebrate Canada's sesquicentennial. 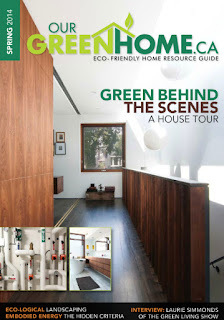 Up Marketing wanted to release an edition of their eco-living publication, Our Green Home, for distribution at the 2014 Green Living Show. 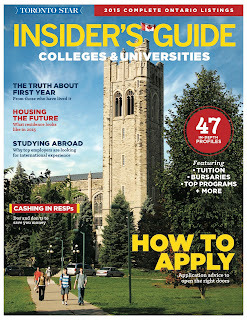 Keeping in mind their target advertisers, I developed the editorial line-up and wrote content for this special issue. 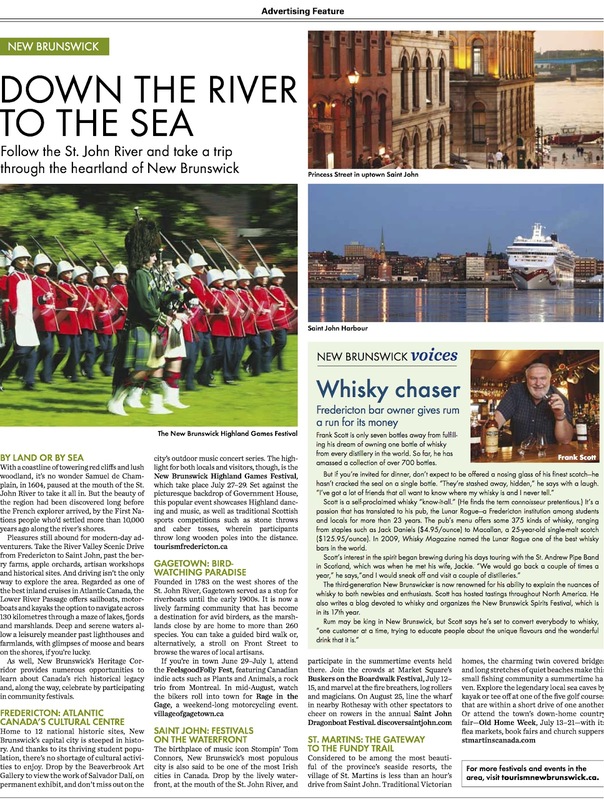 Working with the Toronto Star Content Studios and New Brunswick Tourism, I wrote a series of advertorials promoting four key regions, with a focus on festivals, activities and local personalities. "Down the River to the Sea: Follow the St. John River and take a trip through the heartland of New Brunswick." May 5, 2012. 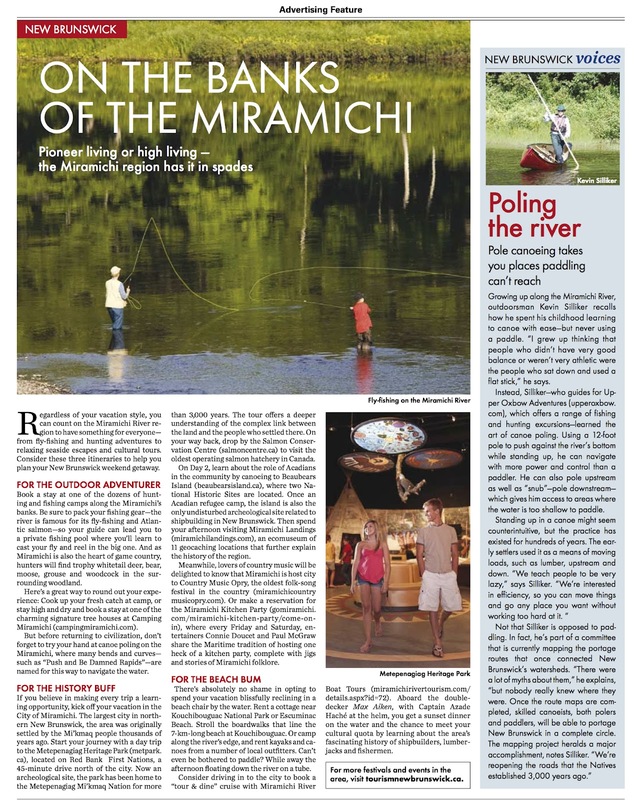 "On the banks of the Miramichi: Pioneer living or high living--the Miramichi region has it in spades." May 19, 2012. 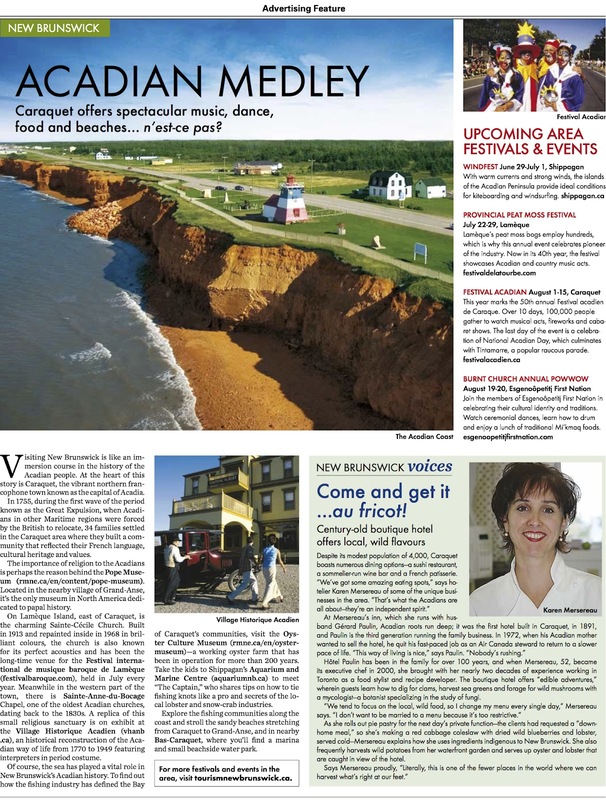 "Acadian Medley: Caraquet offers spectacular music, dance, food and beaches...n'est-ce past?" May 26, 2012. 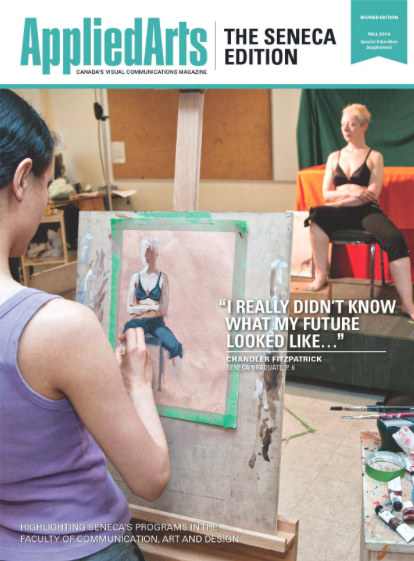 Using raw data from overseas reports, as well as testimonials and photos from hundreds of alumni, I created a promotional fundraising tool for YCI.